Dr. Jahangeer H. Dogar is an allergist serving patients in the Oakbrook Terrace, IL area. 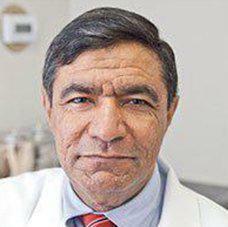 Dr. Dogar is board certified in allergy, immunology, and internal medicine. Patients are seen and treated exclusively by Dr. Dogar, and he makes patient convenience a major priority by offering evening and weekend hours. Dr. Dogar's goal is to provide the highest quality and most individualized treatment possible for each person. Patients will never have any doubt that Dr. Dogar has their needs and concerns foremost in mind. Dr. Dogar trained in the allergy and immunology fields at the highly regarded National Jewish Center in Denver, Colorado. Although Dr. Dogar has been in practice since 1993, he stays updated with all the latest therapies and advances. To stayed updated in his areas of specialty, Dr. Dogar earns a re-certification every 10 years. He was most recently re-certified in 2012. Dr. Dogar is also well versed in the latest allergic conditions, including tattoo allergy and metal allergy. Call the office anytime to arrange a consultation with Dr. Dogar! We have convenient evening hours! Open Mon - Fri from 5PM-8PM and Sat from 8AM-12PM. At Asthma & Allergy Clinic, we accept most major insurance plans. Here is a short-list of just some of the most popular plans we accept. Please contact our office if you do not see your insurance provider listed.